At any given time, there are a number of pests that could be digging under and through your property. Groundhogs are a very likely offender. They will form tunnels, dig through (and eat) your garden, and annoy any pets you may have. One of the most incredible things about the groundhog is its adaptability. Groundhogs have the perfect build for digging. They have small but powerful limbs with curved claws designed to tear up the ground. Furthermore, groundhogs are great swimmers and even have the ability to climb trees. It is understandable to feel hopeless after reading this – but Buckeye Wildlife Solutions is your secret weapon! When groundhogs invade, call us at 844-544-9453! We’ll have your yard back to normal in no time. The first thing you should do upon recognizing a groundhog problem is call a Columbus wildlife removal service. One of the main problems with pests which burrow under the ground is that it can be difficult to place traps where the critters will be caught. In addition, it is hard to directly capture pests like this because of their ability to go underground (and climb trees in this case). Groundhogs act differently than most pests. 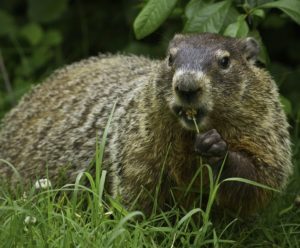 Many Columbus homeowners attempt to fill in the groundhogs’ tunnels to keep them from wasting their time on another digging excursion. Unfortunately, groundhogs cannot be stopped simply by blocking off their tunnels. 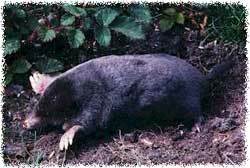 As mentioned before, they are fantastic diggers and will very quickly begin making new tunnels. Once a groundhog identifies your yard as its new place of residence, there is no other option than removal. The longer you wait, the more damage these creatures will do to your property. Removing Groundhogs from the Area. Also known as a woodchuck, the groundhog is a small mammal which ranges from 16-26 inches long and weighs anywhere from 4 to 9 pounds at its full size. They typically live in the Midwest and Northeast regions of the United States. Their adaptability to damp, cold climates as well as their ability to seek shelter in several different types of landscape allows them to thrive in the Central Ohio region. They reproduce quickly, and many areas enact groundhog hunting seasons in order to combat overpopulation. Groundhogs usually live anywhere from 2-3 years, but can survive as many as six at the maximum. In captivity, groundhogs have been known to live from 9-14 years due to the absence of natural predators like wolves, foxes, eagles, and even dogs. Groundhogs are very keen to danger no matter where or when they feed. At any time. 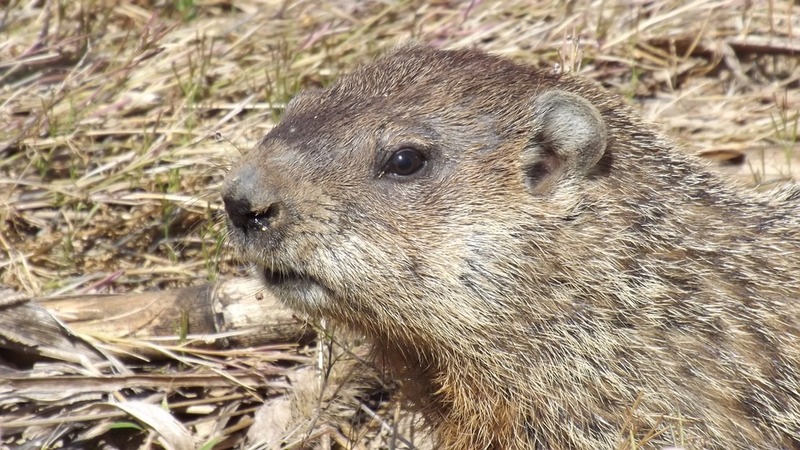 one or more groundhogs may be watching for potential predators – acting as sentries in order to protect their friends. When feeding, groundhogs mostly go after wild grass and vegetation. Although technically omnivores, they are more likely to raid your garden than use your yard to hunt. 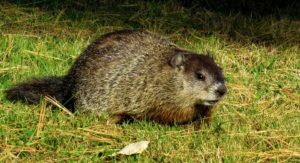 Groundhogs are capable of removing hundreds of pounds of earth from your yard when making their tunnels, making them extremely annoying for Central Ohioans to deal with. 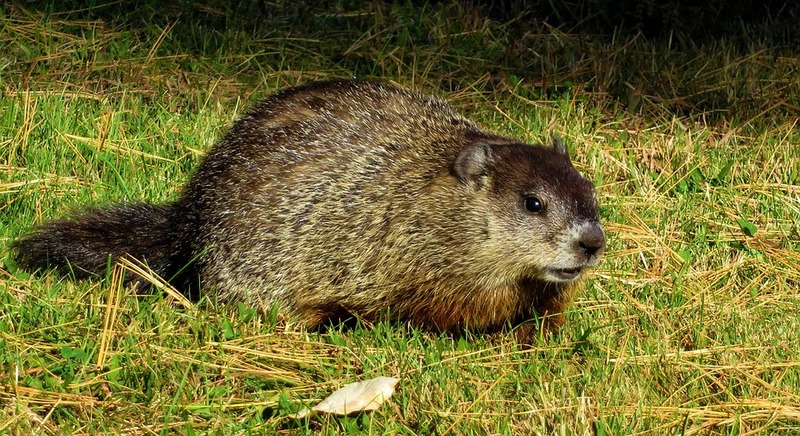 Call Buckeye Wildlife Solutions at 844-544-9453 and put an end to your groundhog problem! Where Else Have I Heard About Groundhogs? Groundhogs will hide in their burrows when they feel threatened. This is an understandable reaction, but our society has taken a particular liking to this species for that very reaction! Every year, the citizens of Punxsutawney, PA predict the weather several weeks into the future based on whether or not their famous groundhog, Punxsutawney Phil, “sees his shadow.” When we say “seeing his shadow,” we are referring to the groundhog’s reaction to fear. It may not be accurate, but it makes for an interesting tradition! 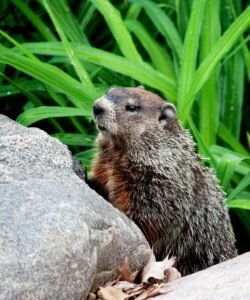 If you come across your own “Punxsutawney Phil,” call Buckeye Wildlife Solutions at 844-544-9453. We predict an absence of groundhogs in your future!